Mowing is a regular part of homeowners' woes, but it doesn't stop there. Once you've finished, you have a blanket of grass clippings to deal with. Cleaning up these clippings is an important part of caring for your lawn. If you leave them there, they might block the sunlight that your live grass needs. So how can you collect grass clippings with more speed and efficiency? Easy: with a lawn sweeper! Saving grass clippings in a compost pile makes a good fertilizer for garden soil later. If you rake your clippings, you might get tired before you've cleaned your whole lawn. A lawn sweeper makes it easy to pick up as many clippings as possible, which means more compost for you. Plus, using a grass sweeper reduces your trips to the compost pile. You don't have to dump your grass into the pile until the sweeper is full, which saves you not only time but also the effort of having to haul bags of clippings by hand. You can use your sweeper beyond the spring and summer, too. 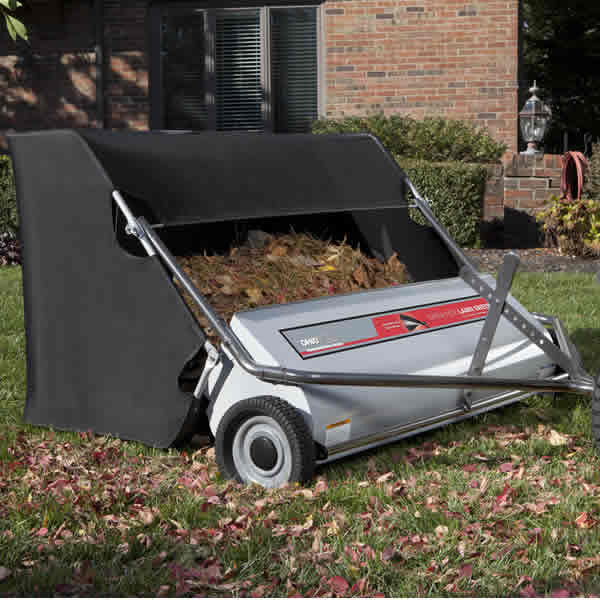 Keep your yard sweeper out through the fall, and you're all set for easy leaf collection. When it comes to finding the right lawn sweeper for you, you have two styles to choose from: push lawn sweepers and tow-behind lawn sweepers. If you use a walk-behind mower, your best bet is a push lawn sweeper. It's light and maneuverable, and it makes picking up grass trimmings much easier than using a broom. Plus, since your clippings will be neatly collected in a hopper, you can add them to your compost pile or garbage can when you're done. 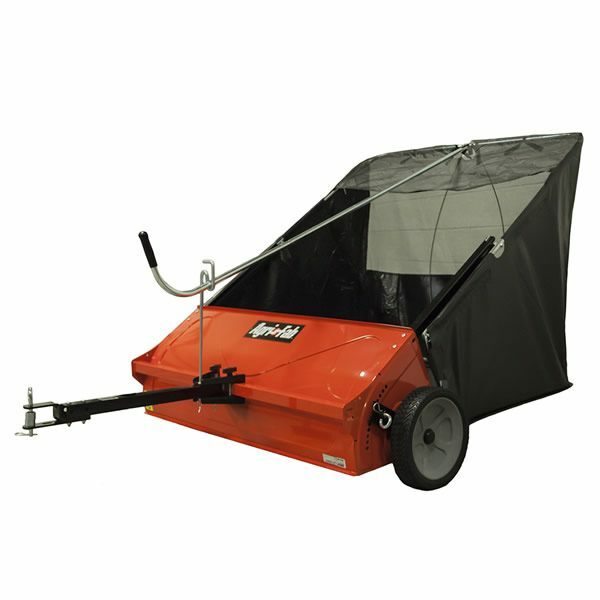 A tow-behind lawn sweeper utilizes brushes on an axle that turn as you go to collect grass clippings, leaves, and small debris into a hopper for easy disposal. They come in different styles to meet different needs. For those with a large yard who use a riding mower, you can attach a tow-behind lawn sweeper behind your mower and collect excess grass clippings as you mow. It's easy to figure out whether a push sweeper or a tow-behind sweeper is what you need based on how you mow your lawn. The width of lawn sweepers determines how quickly you can collect debris and grass clippings and can vary widely. 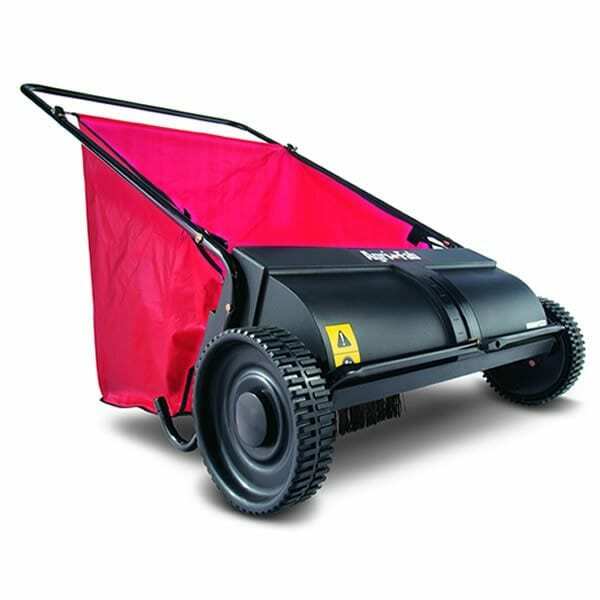 In particular, tow-behind lawn sweeper widths can range from 21 to 120 inches. 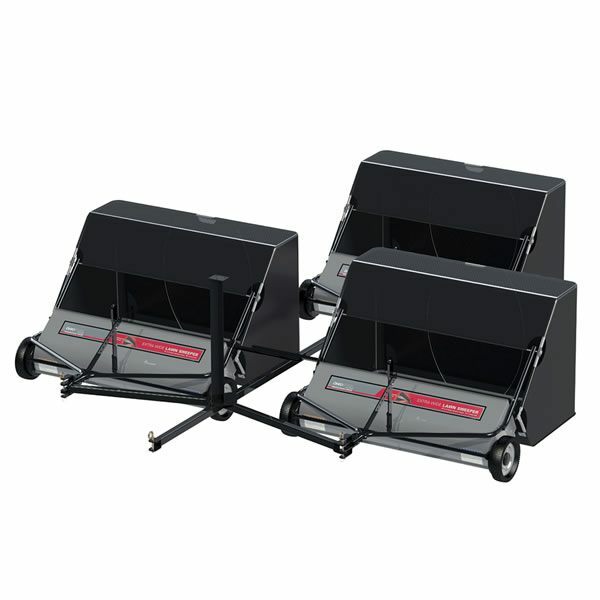 Although 21-inch sweepers are suitable for smaller properties, sweepers 100 inches or wider help by reducing the number of passes on larger properties. Hoppers come in different sizes, holding different amounts of grass clippings. If you have a smaller yard, a 12 cubic-foot hopper may be fine. However, if you have several acres and don't wish to stop as frequently at the compost pile, a 26 cubic-foot hopper or a tow-behind yard sweeper with multiple hoppers (also called a "tandem sweeper") may suit you better. 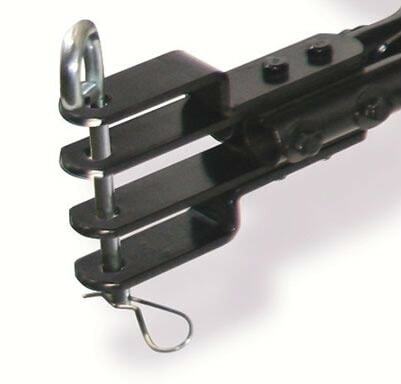 Finally, if you're using a tow-behind sweeper, you'll need to choose a hitch. The height of the hitch depends on the kind of mower or vehicle you're using to tow the sweeper. In general, a zero turn mower uses a lower hitch than a utility terrain vehicle (UTV). For more versatility, there are sweepers with multi-hitch height. This provides you the option of using it on zero turn mowers or UTVs. Lawn Sweepers Made Simple.. Our Power Equipment Direct how-to library can help you learn about How to Fertilize Your Lawn, Vote for Your Favorite Brands in Mower Madness 2019 and Official Mower Madness Contest Rules.